If you have purchased a License for FM Scout Editor, in order to enable the editing functionality, you can follow the following instructions on how to apply your license. All licenses are sent out automatically at the time of purchase. You should have received an email with your unique license. If you have completed your purchase, but haven't received the email with your license, please contact [email protected] Mon-Sat and they will help you as soon as possible. 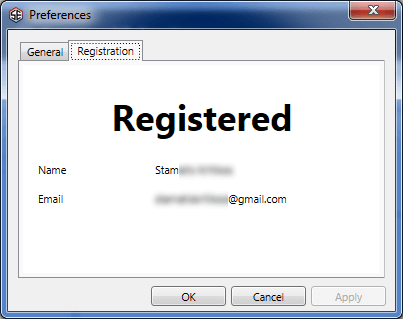 Once you have received your email, simply save the license file (your name.martlicense) to your desktop. To open the registration window, click the FMSE menu (blue "File" option, top left corner) and select "Options". Then go to the "Registration" tab. This will present the registration window, where you need to click on "Import License...". Then select the license file on your desktop and click OK. If everything went well, restart FMSE (quit and start again). If at this point you get an error, please contact [email protected] Mon-Sat and they will do their best to resolve it as quickly as possible. It's easy to check whether FMSE is registered, after you finish the registration procedure! Simply, find your way back to the "Registration" tab within the options popup window, and the registration details should show up! i have recently bought a new PC. How do i get the license for my new computer, as I don`t have any data from the old one ? You may use your old license on your new computer, no problem. Do you still have the email that included a link to your license? If not, send an email to [email protected] and make a request for it to be resent to you. @nufc4ever: Does this problem remain after updating to v0.5.1.0? @Joshiuddhav: Any chance you're not using the latest FMSE version? FM Touch was patched 3 days ago and we released an update for that. I want to edit season transfer budget, how to do that if I don't want new game or I want edit at my lates saved? I'm confused cause I do that (edit budget) but it notting effect at my saved games. please advise and sorry for my bad English. I get the impression you haven't read the steps outlined on the initial post of this topic. You don't put the license file anywhere, you save it anywhere (e.g. 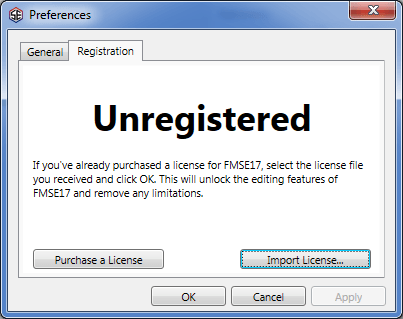 Desktop) and import the file on FMSE's Registration tab. @SiegHart: Any chance you're forgetting to hit the save button after making your changes? It's a small "diskette" icon to the top left area. So. When I try to download my license.
" FMS170516-XXXX-XXXXX_FMSE_License.malicense (Not available) "
I've sent a mail to support about this without a reply. Now I try here, in hope that someone sees this and can contact the creator of the FMSE. Since I've paid for a license, I would also like to be able to download my product. @mcswifty: The download link for the license file normally expires after a week or so. Still no reply from [email protected]? I have the email. but when i'm trying to download it says that it is not available for download. 2017-03-26 23:32#240943 Stam : You may use your old license on your new computer, no problem. You are reading "User guide: Registering your FMSE license".